Painted to reflect the band's 'Dancing with Mr D' and 'Sympathy for the Devil' period (with reached its nemesis at Altamont), but executed when Ronnie Wood had replaced Mick Taylor on guitar and long before Bill Wyman left. This was around the 'Black and Blue' album, hence the way in which the faces are positioned. 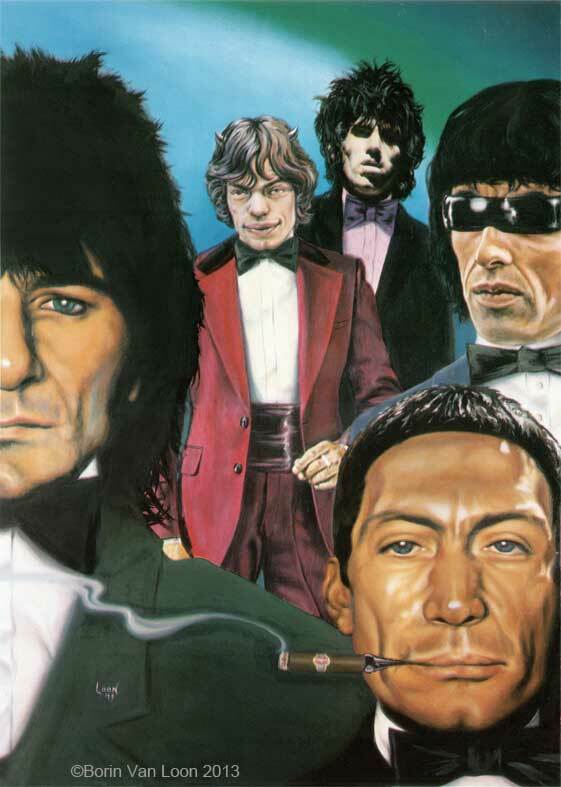 Jagger sprouts tasteful horns, Richards looks suitably gaunt and Charlie Watts is in his Greek-shipping-magnate haircut and tan (I'd guess they were all tax exiles in the south of France then), so I added the cigar and holder.